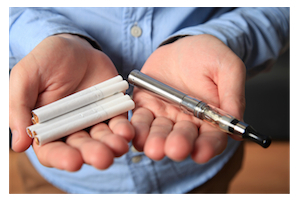 15 Jun 2015 Ban Flavored E-cigarettes? Cities and states around the country are considering banning the sale of flavored e-cigarettes. The city of Minneapolis, for instance, is considering legislation on the issue this week. In my letter to the bill’s sponsors I explain why doing so would actually undermine public health. I am writing to share my perspective with you on the legislation under consideration that would, among other things, ban the sale of most flavored e-cigarettes at almost all retailers. I’m a senior fellow at the National Center for Public Policy Research, where I analyze policy related to public health issues. I’ve testified on these issues at the United Nations, at FDA scientific meetings, and at state and local legislative hearings. My concern regarding this legislation is that a ban on the sale of flavored e-cigarettes in almost every retailer where adult smokers buy their products- would have the unintended consequence of undermining, rather than protecting, public health. The Health Department’s report on the legislation completely ignored the potential benefits of e-cigarettes as a method of harm reduction. The idea is that smokers, especially those that have had a hard time quitting, would find e-cigarettes a viable alternative to smoking. Flavors play an important role in helping adult smokers transition from smoking to using e-cigarettes. E-cigarettes often contain nicotine, but do not produce the myriad deadly chemicals from combustible cigarettes, and are as such dramatically less harmful. In fact, the FDA’s top tobacco regulator, Mitch Zeller, explains that there is a “continuum of risk” among different nicotine containing products. Mr. Zeller told the Robert Wood Johnson Foundation’s New Public Health, “The other example is if at the end of the day people are smoking for the nicotine, but dying from the tar, then there’s an opportunity for FDA to come up with what I’ve been calling a comprehensive nicotine regulatory policy that is agency-wide and that is keyed to something that we call the continuum of risk: that there are different nicotine containing and nicotine delivering products that pose different levels of risk to the individual. In other words, the FDA is aiming to use regulatory policy to move people down the continuum of risk. The city of Minneapolis should endorse the Obama administration’s approach and seek policies that further, rather than undermine, the FDA’s science-driven policy. Any analysis of the e-cigarette market will show that flavored e-cigarettes- flavors other than the flavors regularly found in cigarettes- are very appealing to adult smokers who are switching to e-cigarettes. This explains why, in its proposed “deeming regulation,” the FDA has so far resisted suggestions to restrict the sale of flavored e-cigs to adults, for this very purpose. The FDA is currently doing pattern of use -or PATH – studies- to determine how e-cigarettes are being used in the real world- and to determine the role of flavors on helping people move to lower risk products. The FDA is correct to evaluate the science and use it to develop appropriate regulations to protect public health- before regulating. I encourage the council to do the same. The council should consider other means to achieve the intended and laudable result- reducing underage tobacco and e-cigarette use. For instance, more effective enforcement on the current state-wide ban on sales of e-cigarettes to minors would be a more narrowly tailored way to prevent underage use of all tobacco products and e-cigarettes. Doing so would minimize the unintended consequence of removing flavors which appeal to adult e-cigarette users who are reducing their harm by no longer smoking cigarettes. I’d be happy to discuss this with you in more detail if you are interested.